Behold & Reflect: Winsome Wednesday "What Things are True"
Can I confide in you, Internet? Can I insert my truth into your gaping silence and before a million robotic eyes? In the hours after I clicked "publish" on my last "Winsome Wednesday," I regretted and fretted. I felt ashamed. The atmosphere in my heart was the polar opposite of what I've intended to create with my weekly campaign to follow Paul's advice in Philippians 4:8 to fill my thoughts with things lovely, true and winsome-- all around me and even in me. My words were genuine and my "10 Things" are actual habits that spark joy for me. These silly things actually do make a big difference in my daily outlook on life. I shared what was in me that morning, holding fast to faith that someone somewhere at some time might be helped in some way. But in the moments after I published, I worried that nobody else would think these little habits were anything extraordinary, let alone joy-sparking. And then the accusing voices of my imaginary audience chimed in. How mundane. Well, she's definitely an introvert. Not one mention of interacting with another human being, save having her husband take out the trash. What's so joyful about that? How self-absorbed. Unoriginal. I've wasted five minutes reading this list. And she wasted an hour writing it! While I see so many of my friends living between the lines of these sage words, I am still a student of friendship. 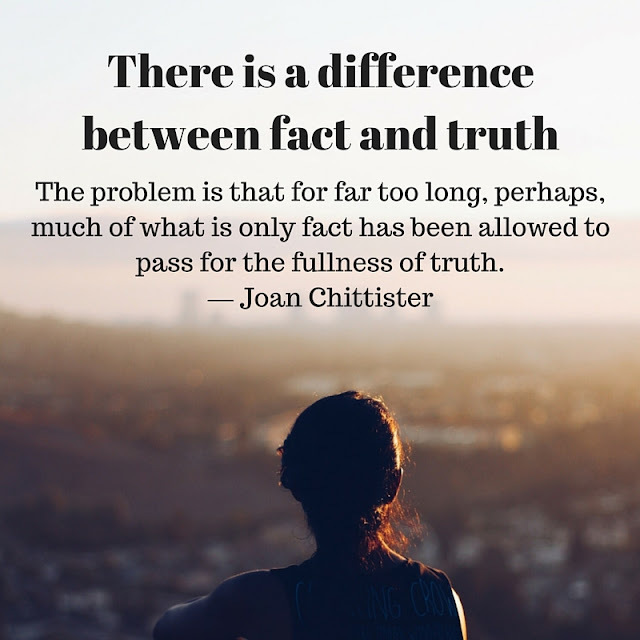 This morning as I think of their examples, and how they've expressed Jesus to me, I'm grateful for the "fullness of truth" Who speaks more clearly and more earnestly than the fact-twisting whispers of the Accuser.